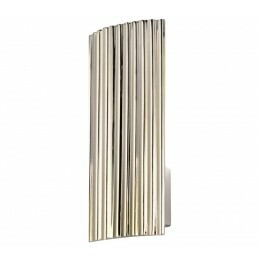 Paramount 15'' Sconce has a luxurious, restrained opulence of layered complexity that defines an era of modern deco and the glamorous presence of polished nickel, creating a glow and bold textural design that bring grandeur to your modern home or architected inspired space. Featured in polished nickel and a metal shade. Includes one 18W 2G11 twin compact fluorescent bulb. 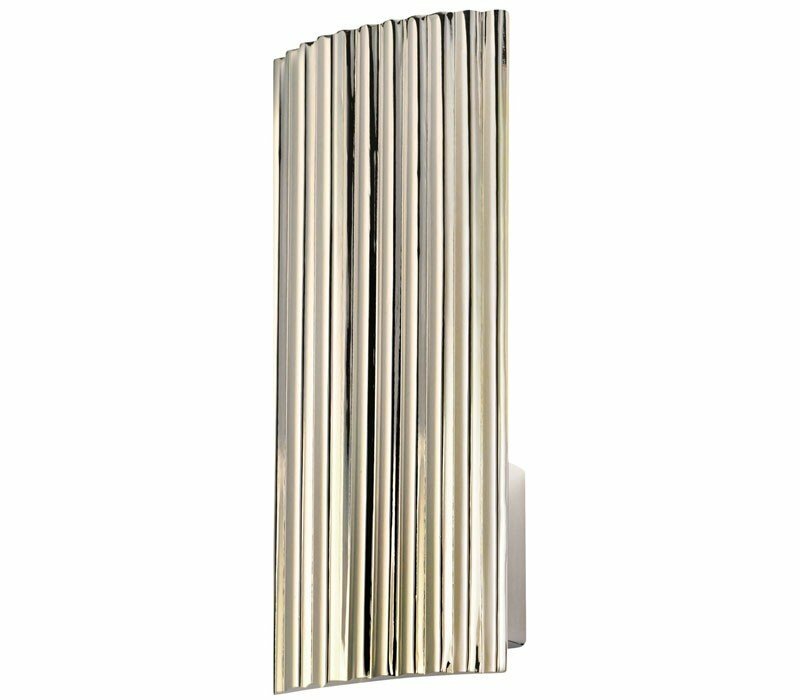 The Sonneman 4621.35 Paramount collection Sconce Wall Lighting in Polished Nickel uses Fluorescent light output and brings Modern style. This item is 15"H x 6.5"L x 3.5"D. The wattage is 18. The Sonneman 4621.35 requires 1 bulb (included). Additional Information: Shade-White Glass.